The vital statistics of F1 Racing Magazine speak for themselves – there are 25 editions of the magazine, in 18 languages, distributed to 75 countries each month. The magazine has been in print since 1996, with Anthony Rowlinson at the helm as Group Editor since 2012. 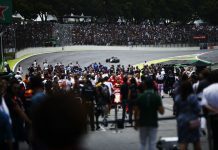 He is ably assisted by Executive Editor, Stuart Codling, and Associate Editor, James Roberts, and a team of committed individuals, bringing to us something that, in my eyes, is an essential part of being a Formula 1 fan. Even though I have a digital subscription as well, I still love to come home from work to find the latest print copy laying on my doormat, and have a stack of them on the bookshelves in my office. I bet most of you do too, right? So, I headed to the Autosports Show in Birmingham last month, excited to have the opportunity to sit down with Anthony, Codders and James and hear what I was sure would be extremely insightful anecdotes that they’ve collected along the journey of bringing each issue to life each month. Sarah Merritt: So tell me, what is the best thing about working at the magazine? Stuart Codling: It’s very nice at that time in the middle of the month, usually on a Friday just before it’s going in the post to subscribers when a box arrives and the new issue that you’ve laboured over comes out. It’s the fruition – I imagine that’s what it was like when Michelangelo stepped back with a cricked neck from his big picture of naked people reaching to each other finger to finger on the ceiling of the Sistine Chapel as we’ve received this thing that we’ve worked so hard to produce. JR: …I think was Stuart is trying to say is that we are fans as well, and we like writing about something we enjoy. If we were particularly interested in economics, I’m sure we’d like to work for the Financial Times, but we all like motor racing and Formula 1, and it’s just a great pleasure that we get to write about what we love. Anthony Rowlinson: I’d agree with that too. We do also you do also get ‘pinch yourself’ moments where you find yourselves in completely surreal situations. 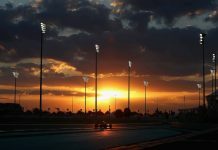 Over the Abu Dhabi weekend, I interviewed Nico Rosberg on the Wednesday before the race – the world champion to be, as he was then – and on the Sunday morning I interviewed Alain Prost. I’m not saying this by any means to show off, but sometimes you get fantastic access to legends – to your heroes – and you find yourself talking to someone you’ve seen on television and who’s been a big part of your life for 20 or 30 years. You’re talking to them about moments that you’ve experienced yourself, and being given a first-hand account of just that moment. When you get through it, you step back and think ‘I was just talking to Alain Prost about crashing into Ayrton Senna in Japan in 1989’. It’s amazing, and that sort of thing happens quite often because it’s the nature of the job. For me, it’s one of the absolute joys of it. You can read Anthony’s piece here (Autosport subscribers only). SM: That’s amazing especially, as the guys do call you ‘Prof’ all the time! SM: He might do, he is on Twitter after all! 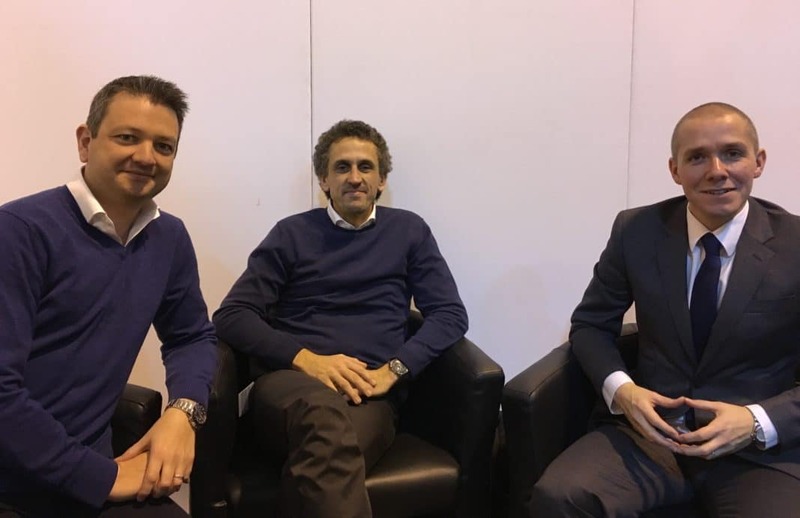 SC: Our ideal scenario is to capture a picture of our editor, Alain Prost, Leo Sayer and Adrian Sutil’s dad standing next to one another. SM: I’m going to ask you about notable issues of the magazine – I thought you’d been around longer than you have actually, 1996 doesn’t seem long enough. SM: Is it possible to think back to an issue of the magazine that would be a personal favourite? JR: The 200th issue. We photographed every world champion since 1996, so nine champions, and that took six months to plan and execute. That was the issue where you had the gatefold that you opened up with the most recent on the left – Sebastian [Vettel], then on the right Damon [Hill], Jacques [Villeneuve], Mika [Hakkinen]…that was an incredible achievement. AR: It’s also something that sadly can’t be replicated because of what’s happened to Michael. SM: Mika still looks pretty good! AR: Yep, he’s still got it. AR: On the flipside of that, Jimmy was also in Brazil this year, when it was supposed to be Felipe Massa’s last Grand Prix, and went Felipe’s home and on Felipe’s bookshelf was the helmet that the car part hit [from his accident in Hungary 2009]. SM: Yes, I saw that on an interview that Lee McKenzie did, I think? JR: She was there as well. SM: It’s just shocking to look at and think, isn’t it? SC: It was a good thing it wasn’t me there because I’d be tempted to give it the old ‘Alas, poor Yorick’ and the fact that he would have been bemused not knowing what I was on about would have added to the moment. SM: This is basically what I imagine it’s like at work for you lot – these kinds of interactions? JR: Yes, it is basically like this all the time. Is that a Paul Smith suit you’re wearing, Stuart? We briefly pause to discuss Codders’ attire. 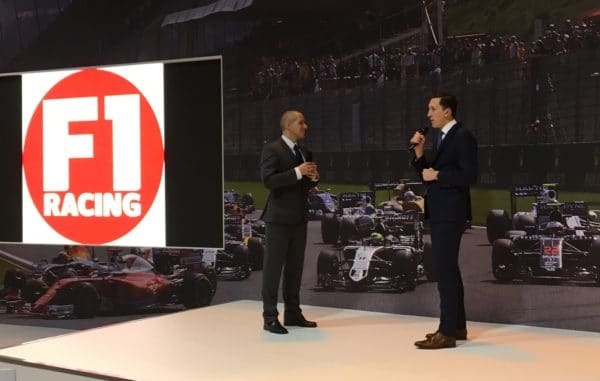 He has been presenting on the F1 Racing Stage in front of the show cars that the teams send along to the Autosports Show, so is dressed for the occasion. Or perhaps jury service. JR: Another year I went to the Ayrton Senna Institute office, and they’ve got his 1990 McLaren there. I couldn’t help joking with them and saying ‘Ooh, I see you’ve fixed it then?’. I don’t think they saw the funny side of it. New front wing, new rear and front right tyre – that didn’t go down very well. AR: There are probably quite a lot of these if we think about it! I remember interviewing Martin Whitmarsh once in his old office at McLaren – this was before the MTC – and do you remember at Spa in 2000, Mika and Michael hit each other going up the hill? Well, they kept the front wing end plate that showed Michael’s tyre marks – the Bridgestone tyre scuffs on it. They had taken it off and had it framed it was on the wall, and Martin said that was from that moment, and it proved they did touch – that was at 210mph tyre mark! SM: Are there any interviewees that are difficult to work with, or that you have trouble getting access to? I guess you might say Kimi for this. SC: You know what you’re going to get with him. He doesn’t like it. Having a microphone under his nose makes him very uncomfortable, so if you want to do anything with him it has to be a bit more discreet. Some people are hard to get hold of. Vijay Mallya, who was a recent subject of a long interview in F1 Racing Magazine, was someone we spent three or four years trying to get access to, and then he invited us to his house. JR: One of the problems with he had so many business interests all around the world that he was very difficult to pin down. Now he no longer has a passport, he’s easier to pin down. SC: He has an office complex next to his house, rather like Mr Burns from The Simpsons, so he runs his whole business empire from that building. We waited until the end of the day, and because he was on a conference call to somewhere, the interview got pushed back a bit and we waited watching MTV! AR: In terms of people that are hard to get to, Vettel is quite difficult. Ferrari are quite obstructive, and that’s the way he wants it – he doesn’t want to do much media. But there’s not many people we can’t get to between us, there’s not really anybody who would keep on saying no. Sometimes it takes a long time. Keke Rosberg, for example, very recently turned us down. SC: He doesn’t want to be front and centre. He’d much rather his son had the limelight now. He views his time as 1982, and now it’s his son’s time. A lot of people don’t see it through the eyes of the fans, as they’ve been surrounded by the PR people too often, who might see things in a very jaded way. SC: Crofty’s a dream to interview! Jenson…he doesn’t always have a lot to say, but he does actually work hard. He’s very professional and he respects that you’re doing a job, and he does his best to give you a good interview. AR: A bit formulaic – it’s hard to get behind that. SC: The screens have gone up, he’s been at McLaren too long. SM: He seemed pretty open in Abu Dhabi when he’d had a few celebratory drinks! SC: Fernando Alonso, in a good mood, is quite good. When we went to his museum, he was very loquacious. AR: Some of the engineers, when you get them rolling…if you can just get them out of engineer-speak. They know so much, and they give you such great insight. SC: Tom McCulloch, from Force India, is very, very good at talking to us. And Vijay was a very good interviewee – after years of knocking on the door, once we’d finally pressed the button, off he went! It was almost as if he had read my little book of questions, as he went through about half of my questions, pre-emptively answering them before I had even asked them. It was a remarkably easy interview – I just sat there with my cup of tea and nodded. AR: The ones that are really good are the ones that are paying attention, and not on autopilot. They are the ones who will push back on your questions sometimes and say ‘Why are you asking me that?’ which forces you to think about it. SM: And then you have more of an interaction, and something better comes out of that, as opposed to regurgitated information. AR: “I interviewed Jacky Ickx last year, who I’d never spoken to in my life before, and he was absolutely mesmerising. He was just totally compelling and really philosophical about racing, life, death, the whole thing. You don’t know what you are going to get with some people, and that really held my attention. JR: One of my favourite interviews was with Nigel Mansell. We did an hour ‘on the record’ but the joy was the hour off the record because he would say things that you know…how can I put this…were not true. He would slightly embellish things – but even on the record, he did that. He said that at Hungary one year, when he got a fever, his blood had reached over a hundred degrees in terms of temperature. I think he meant Fahrenheit, but he said Celsius, and “my blood boiled” was the actual phrase he used. Then he said that the fuel that they used back then in the 1980’s was top secret super fuel that was so potent that people died mixing it! SC: Jules Bianchi was a good interviewee. He was a little bit bashful with microphones, but very funny and very natural. I think that had he lived to have a full career, he would have been a magnificent interviewee later in life. SM: You have a lot of regular columnists in the magazine, and have had an outstanding set across the years. Would it be possible to highlight any favourites? SC: Damon, who has recently stopped. Murray was great, and it was a shame he decided to give it up. It came as quite a shock as he asked to have “a pause”, but then he decided he wanted to stop properly. AR: Of course, he is 93 now, but it was all his own words. Some of them we ghost, some of the drivers in particular, but Murray filed all his own copy, and it was always perfect. SC: And when you read it, it was his voice you heard as you read it. SM: I felt like that when I read Damon’s book. It was as if he was reading it aloud to me. SC: Damon was a big loss. JR: He had a previous period at F1 Racing Magazine back in 1997-98, and that was terrific. SM: Does that leave you with a gap? AR: We must mention Peter Windsor, of course. 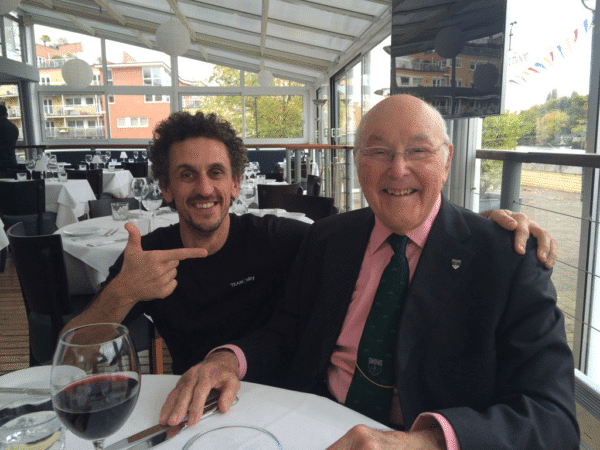 Peter is the soul of F1 Racing Magazine in my view, and without him, the magazine is not right. SC: He has an ability to pluck a subject from left field, and yet it is perfectly relevant when you read it, and always exquisitely turned, as well. Emerson (Fittipaldi) was a good guy as well. We would basically phone him and turn that into a column which he would approve. AR: Pat Symonds does a great column, but that is more about the information than the style of writing. SM: That will be very interesting with the regulation changes this year, and Pat’s view on those as the season progresses will be good to read. SC: The important thing with a columnist is that their first duty is to be read, and therefore the worst thing in the world is a column that tells you something you already know, and doesn’t try to be different. SM: What do you see in the future? I love your in depth articles, but in a world of print versus digital, and ‘monthly news’ versus ‘instant online news’ does this mean the format is under threat? AR: Yes, is the short answer. Print publishing is a really difficult business, it used to be hugely successful and profitable, but every publisher in the world would tell you that print publishing is a very difficult thing, and that’s a fact of life. SC: The successful titles are ones that are steady rather than declining, and there’s an awful lot of dead magazines out there, but our one lives because it actually had a very faithful band of readers, a really strong subscriber base who stick with us. I think our stats are that people who subscribe often subscribe for years, and it’s those people that keep it going. You wouldn’t launch a magazine like this today. AR: Of those that have tried – three rival launches over the last few years – none of those have lasted more than a couple of issues. I say that not to gloat, but to show how difficult it is. SM: So the loyal reader base that you have is what keeps you going? SC: Very much so, and we do have international editions. You sometimes wonder what your words read like when translated into Chinese! 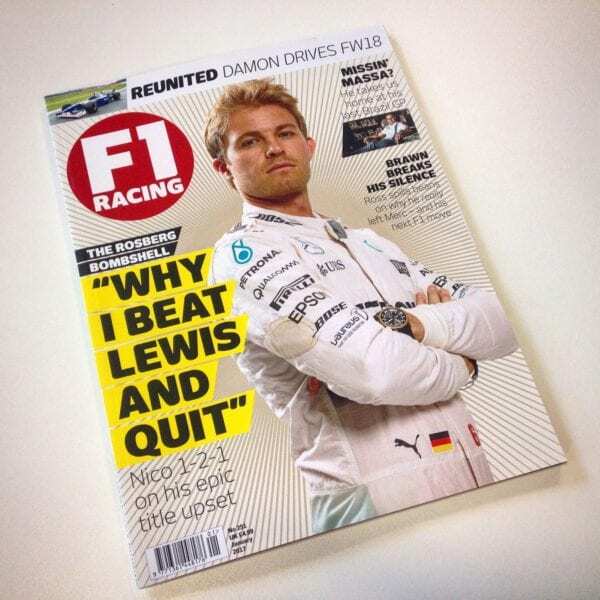 SM: What would you say to a fan perhaps thinking of not renewing their F1 Racing Magazine subscription? JR: Are you a fan? AR: Just think what you will be missing. SC: We are looking into ways to give something back to the subscribers, but what that will be isn’t decided yet – perhaps in the way that if you subscribe to, say, Empire, you get a different cover. So we are looking at ways of thanking and rewarding loyalty. SM: And lastly, what future treats do you have in store for us in the coming year? SC: We are planned up to April so far. JR: Williams have their 40th anniversary, and that is important to us, so we will be featuring that in some way. It’s the 50th anniversary of the DFV engine from June 1967 when it first appeared, so we might celebrate the 155 DFV powered cars that I think we’ve had. JR: Those are two retro things. I’ve also recently been in contact with Toro Rosso about going to see Carlos Sainz in Madrid. And as we wrap-up our interview, we now digress to talk about the ‘on-hold’ music when you telephone Toro Rosso in Faenza, which was a Pink Floyd track. We quickly go through their entire back-catalogue to arrive at Shine On You Crazy Diamond. “See, we are a cultured bunch, we don’t just talk about motor racing!” says Stuart by way of explanation. All I know is that the next time somebody poses that hypothetical question of who they would want around a dinner table to talk motorsport with, you could do a lot worse than pencil in Anthony, Stuart, and James on your seating plan if you were hoping for insightful, articulate and, above all, entertaining stories as you sip your Sauvignon Blanc. It was an absolute pleasure to spend time with them!